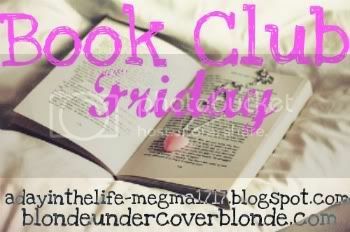 Happy Book Club Friday! YAY!! Would you follow the directions? Would you travel around the world? Would you open the envelopes one by one? Because of envelope 4, Ginny and a playwright/third/bloke-about-town called Keith go to Scotland together, with somewhat disastrous – though utterly romantic – results. But will she ever see him again? This book was a great read. I follow Maureen Johnson on Twitter and, frankly, she’s HILARIOUS (yes, ALL-CAPS are MOST DEFINITELY APPROPRIATE in measuring her funniness - start following her immediately). It’s YA, technically, as Ginny’s 17, but had me entertained from start to finish. The novel is a worldwide scavenger hunt. Ginny’s eccentric aunt dies of cancer, at the age of 35, and essentially re-creates her own teen-travel-adventure for her niece. Starting in NYC, Ginny boards a plane – alone – to head to London, her first destination. Her Runaway Aunt (as she refers to herself) left 13 little blue envelopes in the hands of special people she’d met, to lead Ginny along. And trust me, she sends Ginny EVERYWHERE! I loved not being able to guess where she was heading next. Although there were times that I feared Ginny would get into trouble, it made me smile because that’s how great a writer Maureen Johnson is. Ginny’s teen voice is super authentic and she acts just like any other seventeen-year-old: she’s impulsive, quick-to-anger, funny and kind. I spent some time travelling around Europe when I was a late teen and this book was like a trip down memory lane (with the added nervousness of being almost-thirty and seeing that some of Ginny’s decisions weren’t exactly well-thought-out). I loved how Ginny got to see her Aunt as a ‘real person,’ through the 13 letters. Even though she wasn’t really a main character, Ms. Johnson put in just enough for me to believe that a 35-year-old woman would pay for her 17-year-old niece to take a solo-European-adventure. The characters Ginny meets along the way are all over the place: artists, owners of restaurants, a dude who works at Harrods, and they all give Ginny a different perspective on life and how Ginny’s Aunt chose to live hers. I shed a few stray tears. I may have hugged the book after turning the last page. The sequel’s out now, and if you peruse Maureen Johnson’s website, you’ll see that she’s written MANY books. I’m definitely going to pick up another one; I suggest you do the same! Oh wow, that one sounds AWESOME! I need to follow that author on Twitter now too. Thanks for the recommendation! This sounds really interesting. I have never heard of it so I will have to add it to my list! That is a great idea for a book. I am glad you enjoyed it. This books looks great, i am going to put it on my wishlist on my Nook! I read this at the beach! Great, easy read! "...with the added nervousness of being almost-thirty and seeing that some of Ginny’s decisions weren’t exactly well-thought-out." I had the same problem - I can't even begin to imagine voyaging without a guidebook or even a map. Everytime Ginny did something silly (e.g. didn't know what British coinage looked like) I found myself wanting to tell her to forget what her Aunt said a get a bloody copie Let's Go Europe already! Worrying about what disaters might befall her (um, have you ever seen Piazza Termini at night? It's ÜBER sketchy!) kept me from really being able to enjoy what was otherwise a funny, well observed and heartwarming book. Great review, and thanks for the twitter recommendation - she's hilarious!